Central Penn Plumbing Services, Inc.
Central Penn Plumbing Service, Inc was founded in 1998 by Scott Campbell. 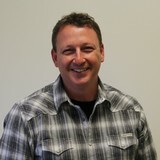 Scott worked for three years doing small jobs for homeowners and contractors. From 2001 to 2004 Central Penn Plumbing Service, Inc. worked full time in the industry gaining confidence with homeowners and contractors. Then in 2005 the HVAC portion of the company was developed. Now, the company serves a large area of Central Pennsylvania installing and servicing plumbing, heating and air conditioning. Named as one of the 50 fastest growing companies by the Central Penn Business Journal, Scott Campbell and his team provide high quality installations and professional service for everyone that they work for. We are water specialist that provide quality water softeners, water filters, water heaters, water pumps and systems, Faucet replacement and repair. We offer drinking water systems, such as reverse osmosis and water coolers. We also can install garbage disposals as well. HL Bowman has been in the same location for 38 years and owned by the same family for over 65 years. HL Bowman is a non commission based company. HL Bowman employees will never upsell you a product you don't need. Dennis and his family have deep roots in the Harrisburg community. After 65 years Dennis and family stay committed to giving the community the best possible service and product to fit their needs. We’ve been in the plumbing and HVAC service business for a long time and are proud of the positive reputation that we’ve made for ourselves in the community. We align ourselves with the best of the best in the industry—our team of employees and skilled technicians give 150% to each and every job they take on. Our education, experience, and expertise in the plumbing, heating, and cooling industries and our use of the most state-of-the-art methods and equipment allow us to remain a leader as a local service provider. In fact, our commitment and dedication to our valued residential and commercial clients is matched by no other company. 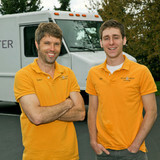 We're a family-owned plumber near Ephrata, PA. In addition to 24 hour emergency plumbing services, we also provide HVAC services (including heating and air conditioning repair, preventative maintenance, air duct cleaning, geothermal heating and cooling, furnace and boiler installation, radiant floor heating, inspections, commercial heating, improving indoor air quality, and more). If you're building a new home, we can work with you to install plumbing fixtures, sinks, tabs/showers, Whirlpools, toilets, and other bathroom accessories. We even offer kitchen and bathroom remodeling, as well as light commercial work. Do you have a leaky water heater? We can repair it. We can also repair your sink, toilet, pipes, well pump. sewer line, sump pump, and more. Water quality is another area that we focus on. We can install a water treatment system or water softener to your home. Call us to ask about our warranties. We look forward to serving you! If you have a clogged drain or a water heater problem, know that you can rely on Essig Plumbing & Heating. As the most trusted plumbing service company in Reading since 1938, Essig has you covered! No matter the size or scope of plumbing job you require, the professional team has the training and equipment to get it right the first time. Additionally, if you are suffering from extreme heat or cold because of a faulty heater or AC, Essig can help. The family-owned company offers a full range of HVAC services, from reliable system repairs to replacements as well as air quality solutions. To schedule an appointment, give Essig a call today! The company is also available for emergency plumbing and HVAC repairs 24 hours a day, 7 days a week. Alps Plumbing is a full-service company specializing in all aspects of plumbing for commercial, residential and multi-family housing in Southern Chester County and surrounding areas. We are a family- owned and operated company with over 25 years of experience in the Plumbing industry. Over the years we have progressed in our success with professionalism, integrity, honesty and our dedication to taking pride in our workmanship. With dedication and confidence, we guarantee our workmanship and materials. For your convenience, we offer 24-hour emergency service and for your protection we are fully insured. 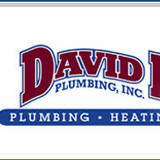 We are a Central Pennsylvania Plumbing contractor that has been in business for over 25 years. Our services include everything from new construction of plumbing systems to remodels and service of existing. We try to use energy efficient and innovative products to give our customers the best value for their money. We're a full service 24/7 emergency service & repair company that is located in York City, PA. We offer a solution to your problem or concern & outline a long term resolution to provide customer satisfaction with each new installation or repair. We provide all Plumbing, Heating, Cooling, HVAC & Electrical services. If you need a plumber for a clogged pipe or even a routine drain cleaning, then don't hesitate to give us a call. When you are on the hunt for a reliable service person to take care of your furnace or boiler repairs, we will make ourselves available to you, your family, and your business. For quick access in case of a plumbing or heating emergency, add us to your favorites. Call anytime when you need to make an appointment for a courteous, certified plumbing and heating professional to visit you. Patriot Water Heater is proud to provide a wide range of commercial and residential water comfort services. Whether you need immediate, emergency service for your hot water heaters and hot water boilers or looking for a consultation, Patriot can help with whatever you are looking for. We also provide fast, comprehensive repairs and solutions for sump pumps, well pumps, frozen/leaking pipes, radiant floor heat and water conditioning systems. Patriot is 100% Family Owned and Operated. We are under no obligation to meet corporate sales quotas and will never try to sell you a repair or service that is not needed. Our focus is purely on providing great customer service and meeting our client's needs. Our clients time and time again rely on Patriot for being able to handle repairs and installations on a large variety of systems and manufacturers. We pride ourselves on being confident in our work and craftsmanship. When other companies are unable to find a solution Patriot is the team to call. Our expert technicians are manufacturer trained and ASP certified for many of the name brands in water heaters and boilers. With our extensive knowledge we can help troubleshoot issues most companies can’t, putting us steps above the rest. All of Patriot’s Water Comfort Experts have the highest regard for you and your family's safety! Prior to being hired everyone of our employees passes a criminal background check and drug test. We also perform random drug tests, as allowed by law. You will always know the price and approve the repair, before any work begins. 24/7 Emergency Service for No Hot Water, Leaking Hot Water Heaters, Gas Leaks, Frozen Pipes, Gas Condensing Boilers, Boiler Repairs, and Water Leaks! We answer our own phones 24 hours a day 7 days a week, including weekends and holidays. We also have a water comfort experts on call, evenings, weekends, and holidays because when you need us, we want to be there. If you are having difficulties with your plumbing in Stewartstown, PA, get in touch with East Hopewell Plumbing & Excavating today. We are a reputable plumbing contractor with a long record of customer satisfaction and many years of professional experience to our name. Our experienced team can take on jobs of many sizes, from simple leak repairs to full system upgrades, and complete each job efficiently and affordably. Give us a call to tell us what we can do for you! When a home improvement job involves installing or repairing water, gas or other pipes, it’s smart to hire a licensed plumber in Paxtonia, PA. Their expertise can help prevent costly water damage to a home’s structural elements, and provide peace of mind that the job is done correctly. Building a new home or remodeling an existing one always calls for the skills of a certified plumbing company as well, so don’t hesitate to contact one for any project, big or small. Read further for more tips on hiring to best local plumbers in Paxtonia, PA.
A plumbing contractor handles the installation and repair of water, sewage and natural gas pipes throughout a home, as well as interior and exterior faucets and fixtures. Plumbing contractors are also trained to work with water mains, septic tanks, laundry appliances, water heaters, sump pumps and other plumbing and pipe systems. Because plumbing repair work is done largely behind walls and beneath floors, some plumbing companies can also patch or replace tile, stonework and other surfaces. Although some Paxtonia plumbers are generalists, others specialize in specific areas; a 24 hour emergency plumber will handle urgent residential repairs, while others may be more skilled in remodeling, natural gas lines, overhead sprinkler systems and more. Find a local Paxtonia plumber on Houzz. Narrow your search in the Professionals section of the website to plumbing contractors in Paxtonia, PA. You may also look through photos of Paxtonia, PA projects to find a licensed plumber who has worked on a project similar to yours. Here are some related professionals and vendors to complement the work of plumbers: General Contractors, Septic Tanks & Systems, Kitchen & Bath Designers, Kitchen & Bath Remodelers.